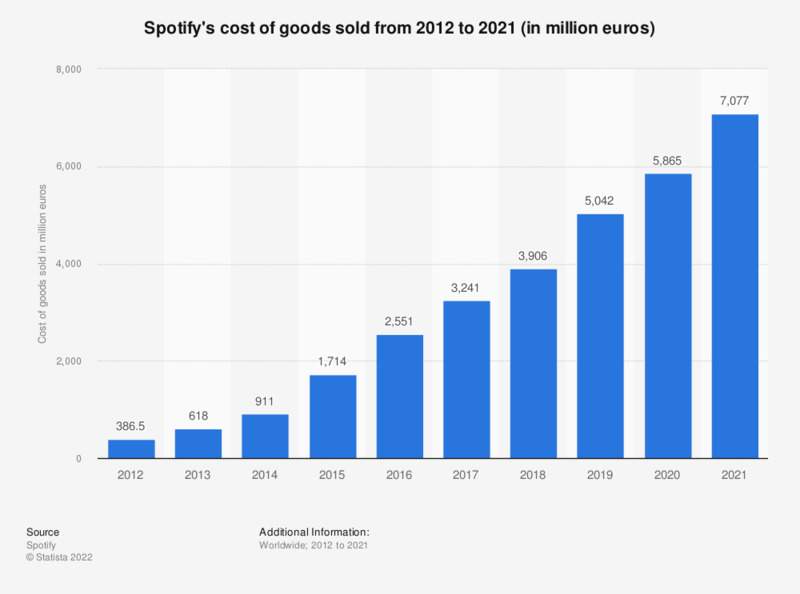 This statistic gives information on Spotify's cost of goods sold from 2012 to 2018, which is mostly comprised of the music streaming company's licensing expenses. In the most recently reported year, Spotify's cost of sales amounted to 3.9 billion U.S. dollars, up from 3.21 billion U.S. dollars in 2017. Do you currently share an account on Spotify?